There are many different documents that you may wish to have in your arsenal when it comes to preparing for your future. One of these, for example, is referred to as a healthcare power of attorney which allows a trusted individual to make decisions on your behalf about your medical treatment if you become unable to do so on your own. Only medical powers are granted in this document rather than financial powers. However, you may want to also consider a HIPAA release. This is one of the most important documents to keep a copy of with all of your other estate planning materials. The health insurance portability and accountability act of 1996 outlines that medical records have to be kept confidential. It can also have unintended consequences, however. Without the legal ability to share medical records, it could be challenging for your family to get critical information about your treatment and medical condition if you become incapacitated. A HIPAA release will allow your medical providers to give this information to your loved ones in the event that something happens to you. The documents you have set aside for health purposes may be beneficial to your family members if something unexpectedly happens to you. Although these are difficult topics to consider, thinking about them in advance can help you with a broad range of estate planning goals and needs. We cannot predict when an accident or emergency is going to take place. 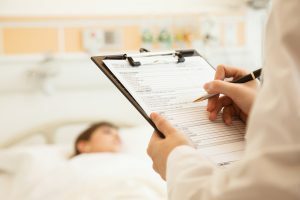 All too often, hospitals and caretakers are unable to follow a person’s wishes for medical treatment – even if he or she had the correct documents in place – because these documents are not immediately available. In order to avoid this fate, a recent article discusses the option of keeping critical documents on a USB drive. A USB drive is a portable storage device that can be attached to a keychain or stored in a wallet. In order to view its contents, a user can simply plug it into any computer with a USB port. If your friends or family members are aware that you carry it with you, they can review its contents should they be required to make any medical or legal decisions on your behalf. In order to protect yourself and your wishes in the event of an emergency, your USB drive should include a HIPAA release, living will, and medical power of attorney. It is not advisable to put a password on this drive because then the documents will not be easily accessible. However, do not store sensitive information on your USB drive, such as account numbers and passwords, unless it is password protected or encrypted. Contrary to popular belief, estate planning is still important for the vast majority of Americans who are not wealthy. After all, after a person has worked his or her entire life to amass all of his or her assets, he or she should seize the opportunity to direct what happens to the assets after his or her death. A recent article discusses five important estate planning maneuvers for the “typical” family (although we are pretty sure there is no such thing as a “typical” family). Sign an Advance Health Care Directive: This document allows you to put your wishes in a document to be followed by your doctors, concerning the end-of-life medical care you’d like to receive. Complete a Durable Power of Attorney, which will allow you to select the person who you would like to take control of your financial affairs, should you become unable to do so. Execute a Last Will and Testament: This is an important document because it directs the distribution of your assets. Through your will, you designate the guardian for your minor children. Complete and review your beneficiary designations: These are the designations on policies, such as life insurance, that pass straight to your intended heirs upon your death. Be sure to consider the impact of property held via joint ownership. Such property is inherited immediately by the joint owner upon your death.